If the glow plug light starts flashing on your van, check your brake lights, most of the time this means the brake light switch on the brake pedal is on it’s way out or you have a bulb problem. You can fix this by taking it all apart and cleaning the contacts which I did at Kwik Fit in Bath, the lights now work but the coil light is still flashing, which means that something is still amiss. If you want to have a go at reconditioning your switch you can follow this awesome guide. Because my glow plug light was still flashing I plugged the van into a PC with VAGCOM installed and looked at the error codes, an error came up with a message that read “brake switch implausible signal” which in my mind meant there was something still wrong with the switch and it should be replaced. There are different types of brake light switches with these vans, one is a simple 2 pin plug and one is a 4 pin plug, the 4 pin plug is built so you have a circuit that turns the bulb on and off when you brake and a second circuit that monitors the pedal being pressed, as soon as you press the pedal a signal is sent to your cruise control and it will disengage. I have cruise control now and as this part of the switch wasn’t working, neither was the cruise control. 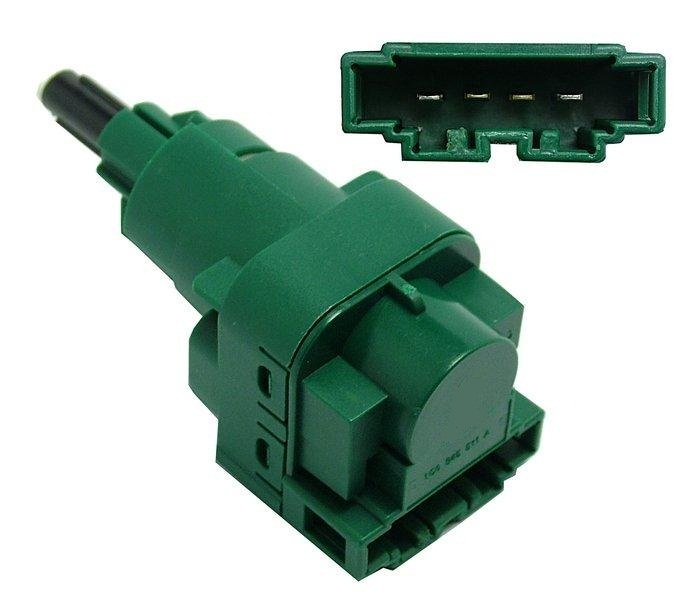 This looks nothing like the switch I have and I can catagorically state it does not work in my van, the plunger bit at the front doesn’t move in the same way the old one does and doesn’t complete the brake light circuit, as a result, no working brake lights. Remove the brake light switch and take it into wherever it is you are buying the part from and insist that you MUST have an identical switch. As you can see it is completly different to the green one that TPS supplied me. 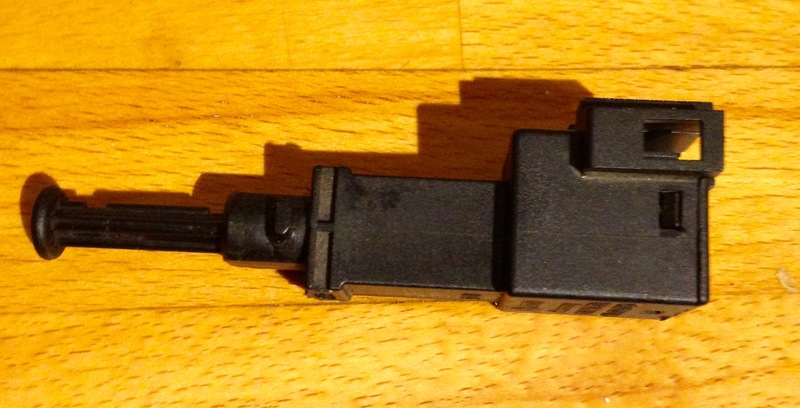 The actual part number for this switch is 1J0 945 511A and it’s the only switch that will work, apparently it doesn’t actually show as a switch for a T4 and comes up as a switch for a Sharan but trust me on this, the green one will never work, get the same as you have and all will be good ! When you replace the switch ensure that you pull the plunger out to it’s longest position, push the brake pedal down with one hand and then fit the switch with the other, when you let the brake pedal back up this will push the plunger in to where it should be to work properly. Since I have replaced the switch like for like, glow plug light is out, brake lights function and cruise control works like a champ!